The Minolta Disc-7 was one of the better cameras designed for disc film. In common with other disc cameras, the Minolta had a flat, compact design, but a limited range of photographic features. The lens was fixed-focus, although it had a macro mode, and there were just two shutter speeds. The Disc-7 had one remarkable feature which stood it apart from other disc cameras. In the center of the front plate was a small convex mirror, which could be used by the photographer to compose a self-portrait. The tiltable, telescoping carrying strap was used as a focusing aid, as its length corresponded with the optimal focus distance of the macro lens - a similar focusing system was later used by Olympus for the Olympus XA4 Macro. Shutter: speeds 1/100 and 1/200 sec. 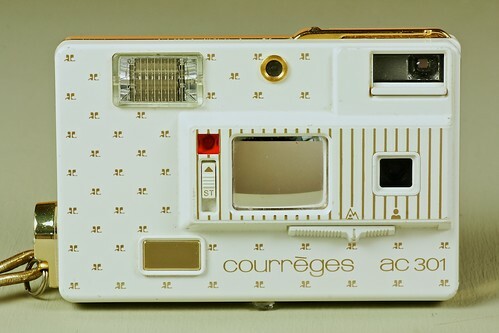 The Minolta ac 301 Courrèges was designed in conjunction with French fashion house André Courrèges. 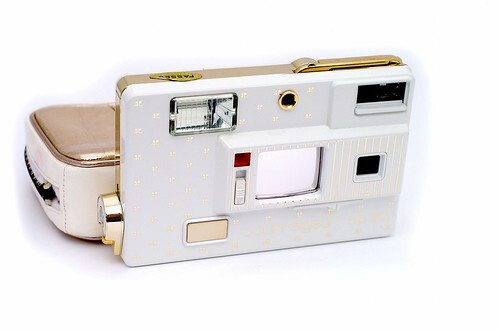 It carried the Courrèges logo, with a cream-white front, a gold-coloured frame, and an attractive soft case. 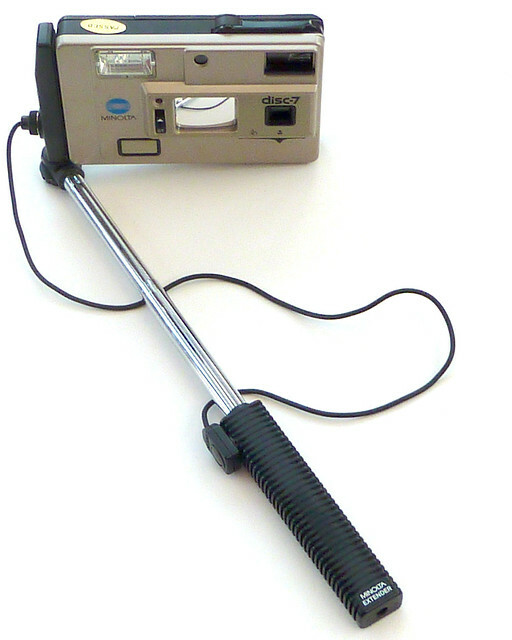 A similar exercise was carried out with the Minolta Disc-5, which became the Minolta ac 101 Courrèges. This page was last edited on 6 February 2018, at 06:33.